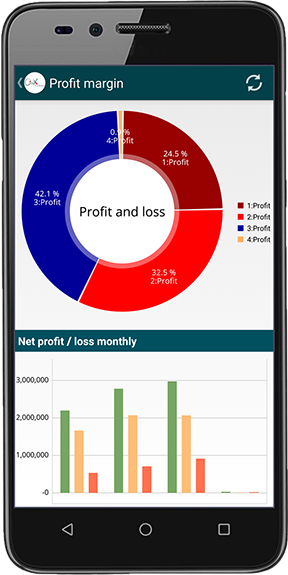 ONYX Performance Indicators, new intelligent App that manages the whole financial performance businesses including accounts, client’s and vendor’s. The app provides multiple reporting dashboards to display the organization KPI’s. The App provide full document and requests approval capability. Our new intelligent App enables management to monitor the business performance online at any time and from anywhere, so they can react faster and take the proper action to overcome any deficiencies on time. ONYX Performance Indicators was mainly designed for businessmen and executive management to have an easy and full control on their companies through multiple performance indicators, dashboards as well as requests approval. Easily installed on any smart phone or tables. 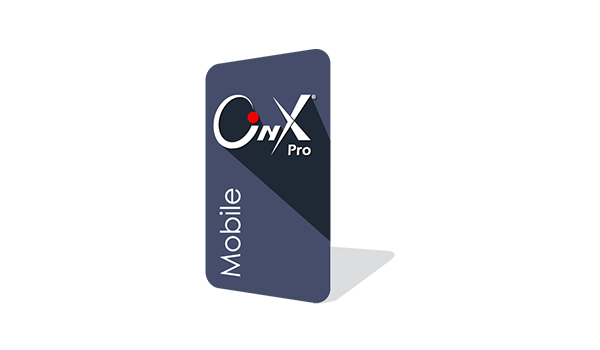 Connects online with Onyx ERS system to execute action and retrieve information. Monitor cash, balances, receivables, payables, payments and different types of accounts. Display different types sales and the associated profit margin for each type. Perform Perform action such as document approval. Monitor inventory and track products movements, prices and quantities. Dynamic dashboard for cash, credit and debit with multiple filters such as date, project, activity type, branch .. etc. Sorting feature for any displayed results. Monitor exchange rates and accounts balances. Search and favorite list for quick and easy use. Full access rights to authorize users transactions. Chatting with other users and receiving notifications.